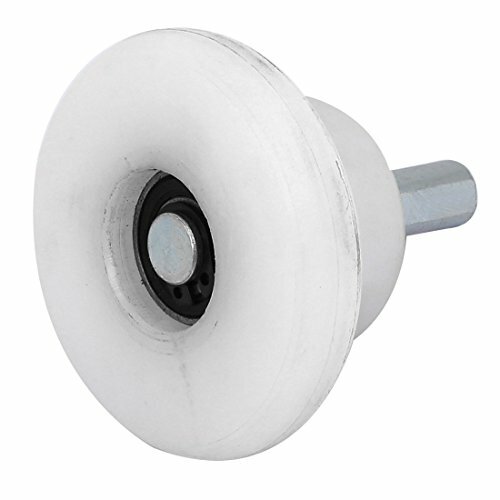 Nylon coated pulley bearing wheel. They have low wear and tear and are resistant to Oil, Grease, and chemicals and also have a high load bearing capacity. Used in transmission. They are widely used in paper, coal, wood processing, chemical fiber, textile, printing and other industries. Weight: 99g; Total Height: 58mm / 2.3"
Shaft Diameter: 10mm / 0.4"
View More In Printer Roll Holders. If you have any questions about this product by uxcell, contact us by completing and submitting the form below. If you are looking for a specif part number, please include it with your message.